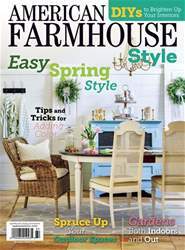 Digital Subscriptions > American Farmhouse Style > April/May 2019 > BUTTERFLIES AND HUMMINGBIRDS AND BEES, Oh My! Your meadow can provide a habitat for pollinators that will help your f owers grow. Plus, they’re fun to watch. Here are three ways to help pollinators feel at home. • ATTRACT BUTTERFLIES. They love nectar-rich flowers. There are also certain plants that butterflies lay their eggs on. Try planting sunflowers, magnolia, prairie clover or hollyhocks. Each of these attracts dif erent types of butterflies and will look beautiful in your meadow. • HELP HUMMINGBIRDS BUILD THEIR NESTS. “Hummingbirds are most attracted to plants with long, tubular blooms in shades of red, orange, blue and yellow,” writes Lizotte. Zinnias, bee balm, and golden aster are good options. You can also plant leafy trees, ornamental grasses and plants with soft seedpods (like milkweed) to give hummingbirds materials to create their nests.